To fill in some of the downtime between travels, I've decided to instate a "Worlds of Wonder Wednesday" tradition. Each Wednesday, I'll post a bit about a place of imagination, fantasy and wonder, a place that does not exist. 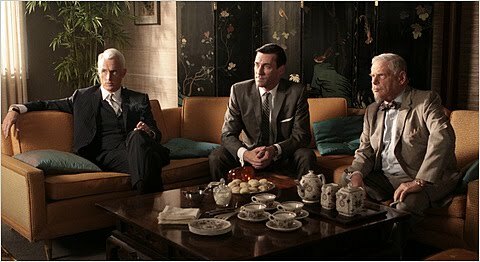 Since I only know two people who don't love Mad Men (one because there's too much smoking and one because there's not enough feminism) and the season premier is this Sunday, I th ink it's time to take a moment and long for New York, circa 1964. It seems to me that this was the last time glamor wouldn't really feel old fashioned, when hats and gloves were not only appropriate, but often required. Still, things were changing, and in February, The Beatles made their first-ever trip to the states, landing in a frenzy, of course, at JFK Airport (newly renamed after the assassinated president). It's also around the time of the Second Vat ican Council, which certainly changed things for Catholics in New York. Maybe it's hindsight, but fashions in music, clothing and lifestyle seemed to change more quickly in the 1960s than any other time. 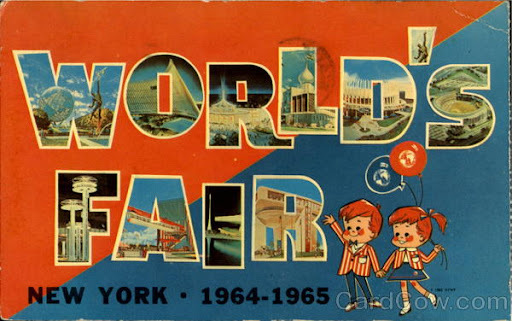 Most importantly to me, the 1964 World's Fair, an event that seems to encapsulate everything I want to write about, came to New York. I think my entire life has been colored by this event, a full twenty-two years before my birth, and I've been left with a dull nostalgia for the future promised at this fair, and at the Tomorrowland Pavilion at Disney World. 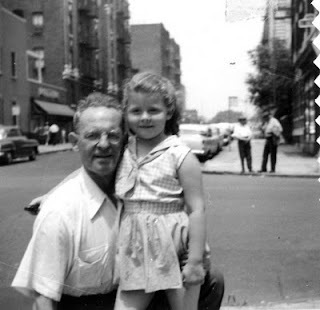 New York, 1964 is, to me, trapped between two visions of the world, old and new. It's clear which one was winning out, which one is always winning out, and how it's worked for the city, and for the country. And let's not forget that 1964 is probably the last time in history that anyone liked all those post-war buildings up around Central Park. Is the black and white picture from 1964? Roger - I'm not sure if it's 1964 exactly, but it's pretty close.